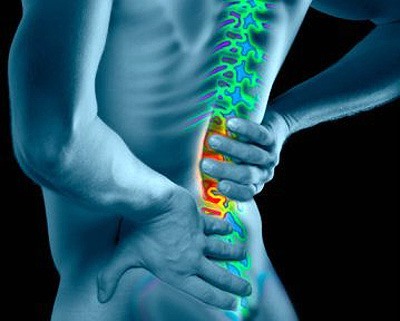 Back pain simply means the inflammation in back portion/spine. There can be many valid reasons for back pain like wrong sleeping habits, calcium retention, arthritis pain and many more. Well, our spine curvature is divided into several parts and inflammation caused is also different. It can be cervical(appearing on the skull to neck portion), thoracic(which includes the mid-spine portion), lumbar(including the area above hip portion) and sacral spine which is the end of the spine. These kinds of aches occurs in elder-age persons but can also affect youngsters and teens as well. Our each and every bone is lubricated with a special kind of gelatin type substance or soft tissue. As our age increases or due to some wrong habits, this layer starts getting ruptured and our our bone looses its intensity and flexibility; as a result, the person gets prone of several bone disorders. There can also be many reasons of nerves, bones, joints or de structure of spine etc. The pain can be acute as well as chronic; sometimes it can also lead to structural disability or radicular pain. Many reasons also accompanies with some fractures or internal disturbances. In India, approximately 40% of back pain cases are noticed. Unfortunately, most of takes it very lightly and ignore as a normal pain. Actually, sometimes it can be fatal or the symptom of some ailments. Osteoporosis, myeloma, lumbar disc herniation can also be there. 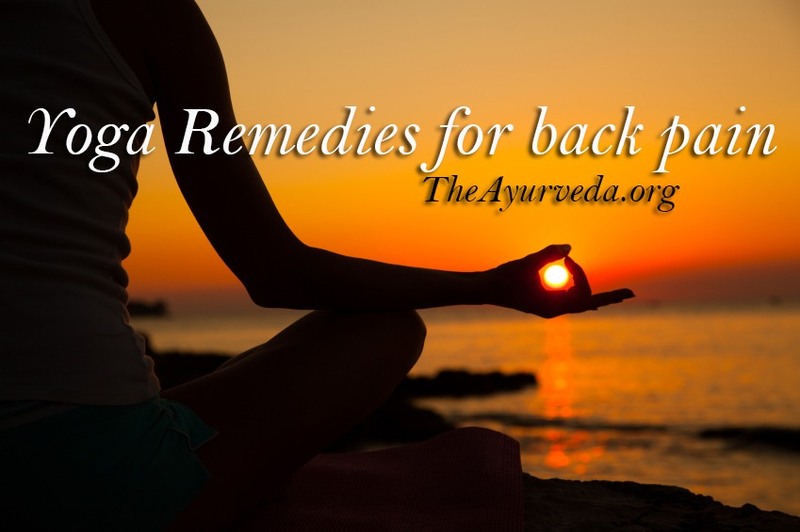 As we know, some Pranayam and minor exercises are recommended for disorders liker hair problems, eye problems etc. These are sufficient; but in the case of inflammation, several yogasanas with precautions are required for the wellness. Following are five Yogasanas well suited for back aches. So, lets have a look on these. In this asana, your body posture tends to be like a bow. It is also called ‘Bow pose’. In this very yogasana, limbs as well as the back area is pressurized which helps you to get rid of back pain, arthritis problem. It strengthens your back and abdominal muscles as well as avoids stiffness. It is a good yoga practice to get a flexible and healthy body; not only this it is also good for those suffering from kidney and renal disorders. In order to perform this yogasana, lie on your stomach and straighten your ankles. Now, raise your legs till thighs and also raise hands. Fold your knees and catch your ankles. Look straight and breath in. Hold your breath for 15-20 seconds. After that exhale relaxing your legs. Repeat the same for 5-8 minutes. Do not over stretch as it can cause tearing and injuries in ligaments and muscles. Beginners should be careful as no overload should be there as it will turn you fatigued and anxiety. Pregnant ladies should avoid it. If you are suffering from migraine, low blood pressure, hernia, neck injury etc then this yogasana is not meant for you. It is one of the simplest yogasana that is simply meant to stand and some other curriculum. It is called ‘Mountain pose’; as the posture looks like a mountain when you stand up in this. This asana mainly focuses on your feet as well as the overall body. This is also good for short-stature persons. Your lumbar curves and spine is affected and any kind of pain and injury is treated well. It teaches you how to balance your body fluently. It improves the flexibility of your body and also strengthens your muscles. It improves your back pain and sciatica very easily by regular practice. Stand on a firm ground straight and erect. Join your legs and feet together and look forward. Now balancing your feet raise your body upwards in toe. Hold it for 5-10 seconds and breath fluently. Repeat the pose; slowly raise your body toe, feet, thighs, calves then skull. You can also raise your hand for proper balance. If you are having reeling sensations then you should not perform this. Those with low blood pressure should avoid it. If you are a beginner then lift your body as much as you can; by over-lifting, you may fall that can be injurious. Shalbha is a Sanskrit term which means grasshopper. It is also called ‘Locust pose’. In this your legs tends to be upward and will be balanced by spine and lumbar area; that makes it treated. It relieves in slipped discs, mid-sciatica and back aches. It is also good for liver, stomach, abdomen and bowel area. Lie down on stomach with your legs and feet together and straight; your arms should be placed under the thighs. Rest your chin on floor and breath in and out. Inhale deeply and slowly lift your legs upwards. You can also put your fists on navel area for balancing. Stay in the position for few seconds and come down with exhale. Repeat it as much you can. This yogasana requires a great physical effort so if you are weak then avoid it. If you are suffering from high blood pressure or hernia then avoid this. The word simple resembles’ three sides. 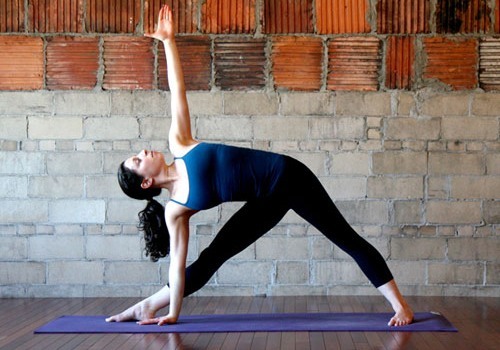 In this Asana, your body posture looks like a triangle; so also called ‘Triangle pose’. This yoga pose is similar as one of the exercise. It strengthens your legs, ankles, chest, waist and overall body. It is also an effective one for those willing to loose weight. It reduce anxiety, stress, sciatica, slipped-discs, back pain and may other problems too. Those who are fed with wrong body posture should admire it. Stand straight and stretch your legs separately and comfortably wide apart. Turn your right foot to 90 degrees and left one 15 degree. Make sure that both the legs are balancing your body equally. Now inhale deeply with exhale and bend your body towards the right. Rest your right hand on the right ankle and your waist and body should be bend. Remain on the pose for 30 seconds and do the same on the left side. If you are suffering from diarrhea or migraine then simply avoid it. Patients of back injuries and low blood pressure should avoid it. Bhujang is a Sanskrit word which means ‘snake’. So this asana is also called ‘Snake/Cobra pose’. In this your body tends to be like a snake and head as a hood. This very asana is tough for beginners but gets easier after a regular practice. It improves the flexibility of your body and also cures a lot in back pains, slipped discs, sciatica and many more. It also reduces tension, stress and anxiety. This asana also comes in the category of sun salutation as is very good for a perfect posture. Lie down on your stomach with your toes flat and forehead resting on the ground. Keep your legs close together and flat. Place your hands/palms downwards under your shoulders. Take a deep breath and slowly lift your head focusing with chest and abdomen; keeping your navel on floor. Remain on the position for seconds and come back to the earlier lying position. Exhale…. Repeat the asana for 3-5 times. If you recently went to abdominal surgery then you should avoid this. It is not suitable for blood pressure patients. Those with fractured ribs or wrists should avoid this; also it is not good for pregnant ladies. Guys, yoga is a simple practice or exercise which gifts you a fit body without any ailments. Those who practice it regularly and with dedication surely gets the results. These are the things that connects your soul to the universal spirit. It is not only good for your body but also makes you a noble human being. So, stay natural live healthy!